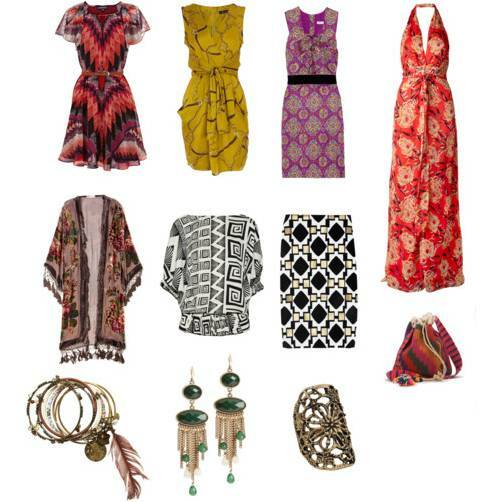 This summer I was in love with tribal inspired prints and patterns and was excited to see more of the same on the Fall 2011 Runways. For Fall the look is still exotic but perhaps because of the darker and richer colors, the chartreuse, gold, plums, and berries it feels richer, a bit more regal, but still very well traveled. La Bohome: Oscar de la Renta, Naeem Khan, L.A.M.B. Are you into prints for fall? Would you wear this very bold and colorful look? This entry was posted in Accessories, Budget, Fashion Inspiration, fashion week, Her Closet, Jewelry, Shopping and tagged fall 2011 fashion week, fall prints, fall shopping, fall trends, fall wardrobe, LAMB Fall 2011, naeem khan fall 2011, oscar de la renta, Oscar de la Renta Fall 2011. Bookmark the permalink.